And he dreamed, and behold! a ladder set up on the ground and its top reached to heaven; and behold, angels of God were ascending and descending upon it. Last night I dreamed of an atom with a ladder wedged in the nucleus of the atom, with electrons jumping up and down the ladder. 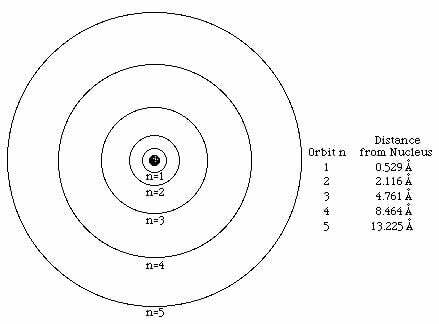 st proposed by Ernest Rutherford in 1909, it depicted an atom as a solar system wherein a nucleus was positioned at the center of the atom, with electrons orbiting around the nucleus as planets orbit the Sun. However, there was a problem. According to Maxwell’s theory of electromagnetism, accelerating electrons emit electromagnetic waves thereby losing their energy. In Rutherford’s model, all electrons were doomed to fall on the nucleus, which, of course, did not happen. In 1913, Niels Bohr solved this problem by postulating that electrons were only allowed to occupy certain orbits with discrete energy levels. An electron can jump on higher or lower orbit (by absorbing or emitting a photon) but normally orbiting the nucleus without losing energy. I don’t know if Niels Bohr read Torah, but if he did, this week’s portion may have inspired his insight. In Jacob’s dream, he saw a ladder wedged in the earth with angels moving up and down the ladder. One may ask, why would angels need a ladder to move up or down? In Ezekiel’s vision of Ma’ase Markava, angels used their wings to fly to and fro, without the need of a ladder. So why did angels need a ladder in the dream of Jacob (Yaakov)? Perhaps it provides the symbolism for Bohr’s model of the atom. In my dream, the earth was the nucleus, angels were electrons, and rungs of the ladder were energy levels corresponding to orbits that electrons are allowed to occupy. In Jacob’s vision, angels didn’t fly (change their energy level continuously) but stepped up or down the ladder—one rung at a time. It seems to me, this is symbolic of electrons not being allowed to change their energy continuously but only being able to jump up or down one orbit, which is symbolized by the rungs of the ladder. To take this metaphor a bit further, let us notice that when an electron jumps to a higher orbit, it absorbs a photon. When the electron jumps to a lower orbit, it emits a photon. 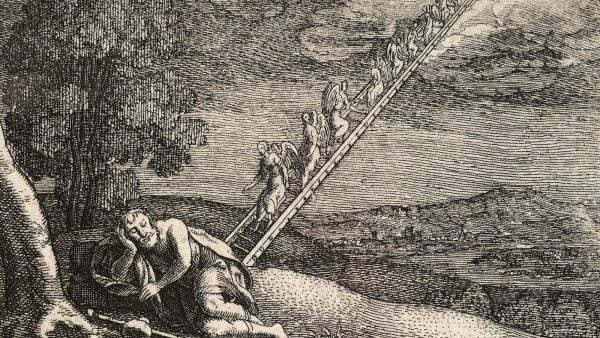 According to the Zohar, Jacob’s ladder was the ladder of prayer. Angels going up the ladder brought up the prayers to heaven. Angels going down the ladder brought back the blessings. If photons—quanta of light—are symbolic of prayers and blessings, angels carrying the prayers up the ladder are symbolic of electrons going up the orbit as a result of being irradiated by photons (prayers). Likewise, just as angels going down the ladder carry down blessing, electrons, jumping on lower orbits, irradiate photons of light—blessings. metaphor. Indeed, a photon (symbolic of a person) absorbed by an electron dies, as it were, and only its energy (soul) is carried up by the electron to a higher orbit. Conversely, when an electron jumps down to a lower orbit, the extra energy (soul) causes the electron to emit a photon—symbolic of giving birth to a person in whom the soul incarnates. Thanks for your interest, but you are already a subscriber and should be getting notifications of all new posts.